Vaping is an industry that thrives on its sheer size of variety and options. 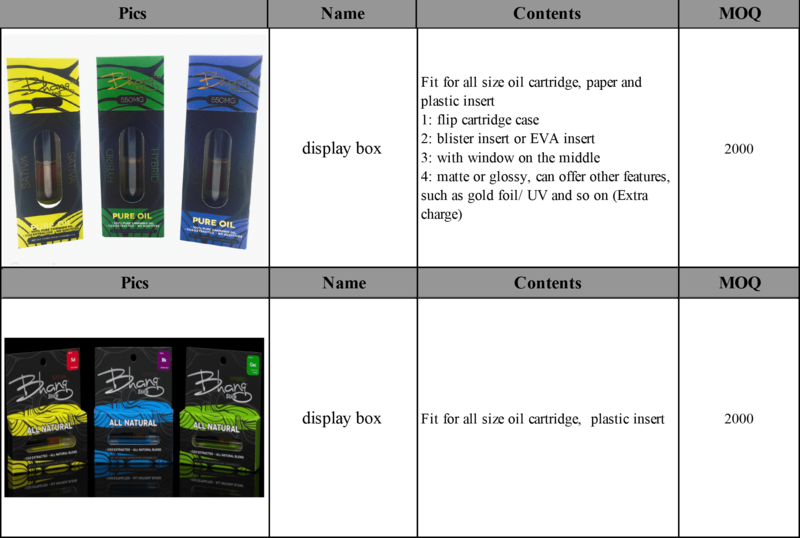 Vapers are able to choose from many different styles of cartridges, vape pens, batteries, and mix flavors. 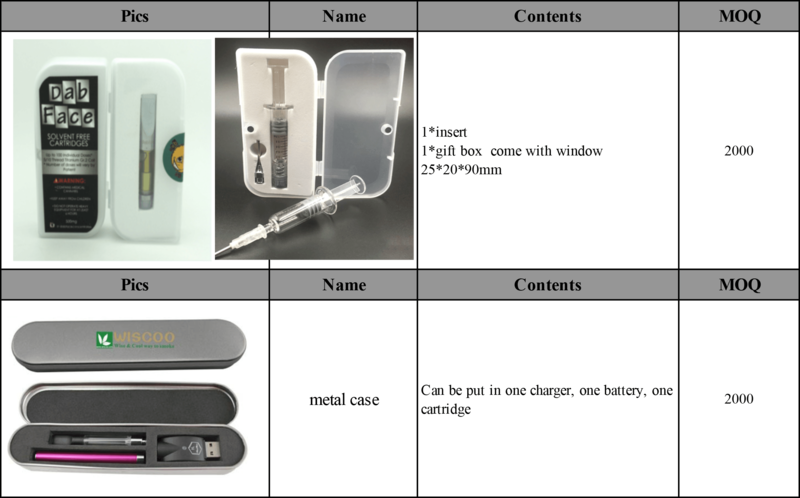 This lets them tailor their vaping experience to exactly what their tastes may be. 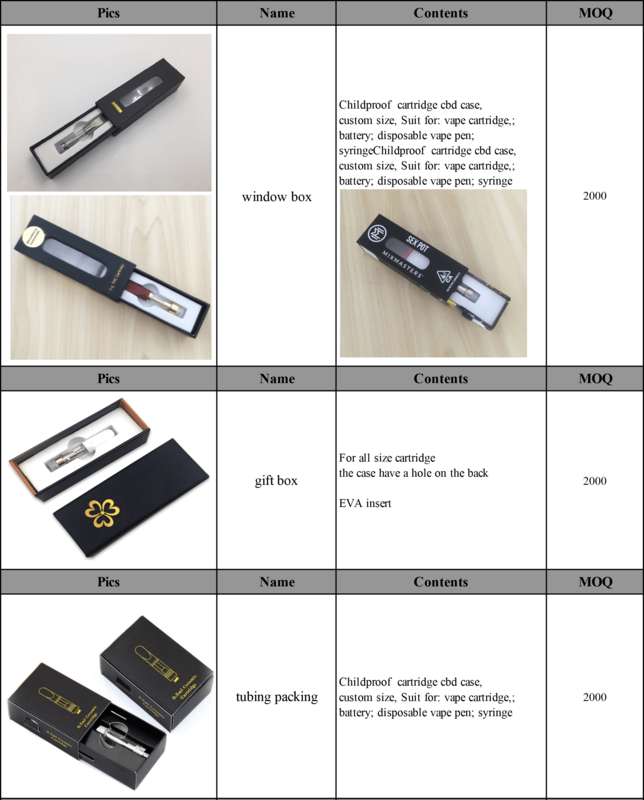 And that level of customization is a big part of why we take pride in offering custom vape packaging for any component of vaping. 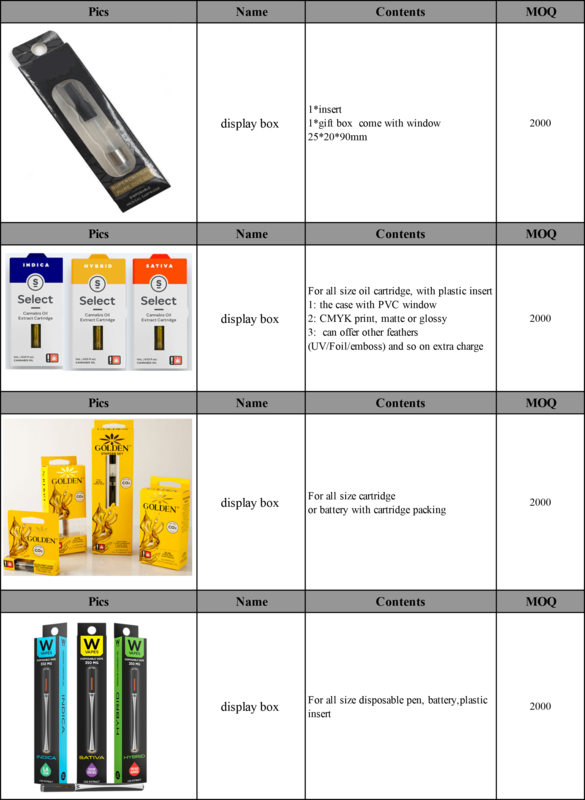 From custom vape pen cartridge packaging to custom vape oil packaging, our options help build up brand identity and make it easy to give any vape shop owner exactly what they’re looking for. 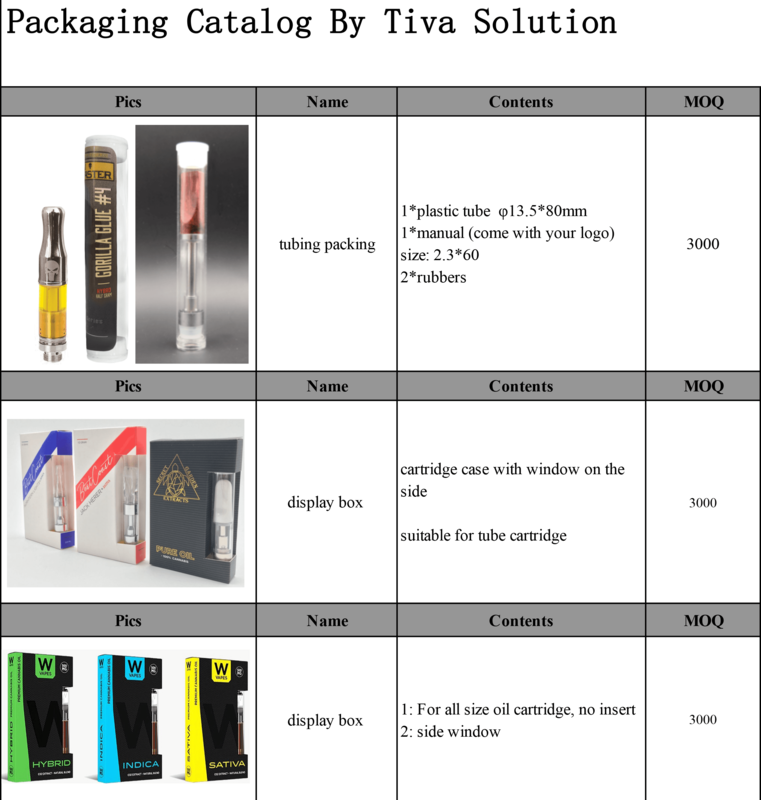 Custom vape oil packaging and custom vape pen cartridge packaging includes a custom display box or packaging solution that lets you stamp your logo on your packaging and offer vape customers the ability to get the best vape products at a great price, custom packaged to support their local vape store. 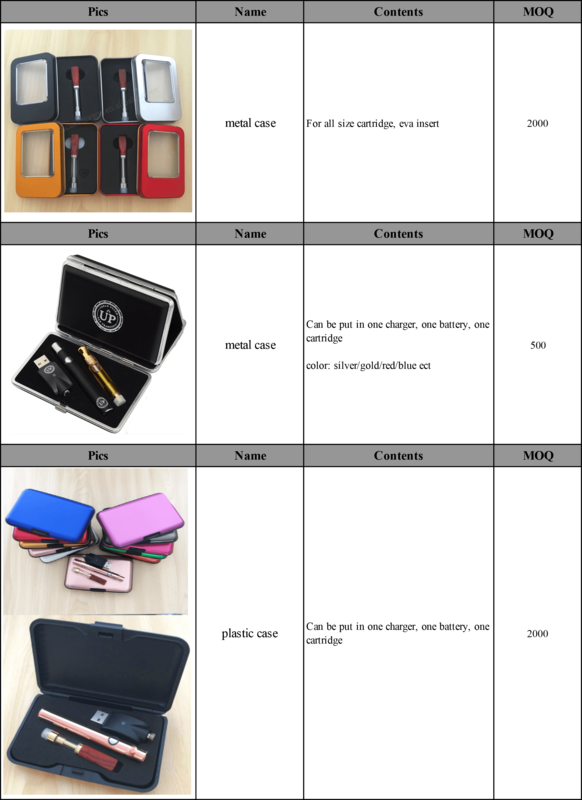 And each of our packaging products can include display windows and pair perfectly with the actual item that is packaged in them. 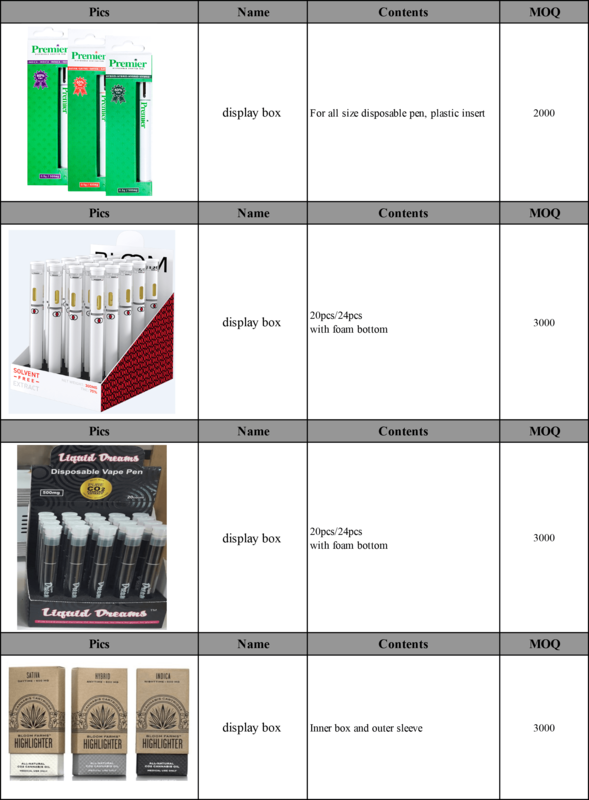 Need the best custom vape tubing or the right packaging for high quality vape oil? We can give it to you. You’ll get vape products that you can trust as well as the ability to custom design packaging so you spread your store’s branding and improve your sales in a significant way. 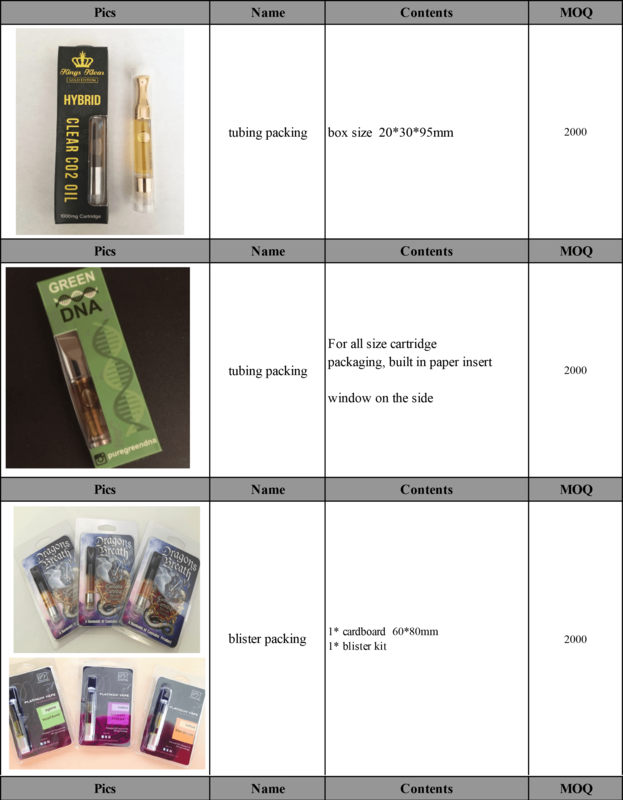 All in all, ordering your custom vape packaging and custom vape products from us means that you get the kind of vaping products you need and can pass them on to your customers. This helps build your brand, improves your reputation as an affordable, trustworthy source of vape supplies, and more. And with our team standing by to help you with questions or concerns, you get the best possible vape products.